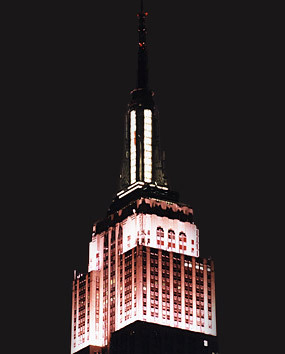 The Empire State Building is pink! Now no one will ever get breast cancer again! Next post: lemonade for the library!